The “I Can’t Remember” video was a joint project between Palette Productions and Sowelu Entertainment, with Shari Belafonte and Sam Behrens. “I Can’t Remember To Forget You” includes 9 original songs, most of which are written by Debra and Jeff Silverman. A unique remake of Harry and Sandy Chapin’s classic song “Cats in the Cradle” is also a highlight of the CD. Production on this project initially started when Debra and Jeff were living in California. The first video for the CD’s title track was actually produced by Jeff’s long-time friend Shari Belafonte and her husband Sam Behrens for Sowelu Entertainment. The video was filmed on a ranch outside of Los Angeles. Shari is also the photographer for the photo used on the CD cover. The move to Nashville provided not only the opportunity to incorporate the talents of some amazing musicians on this project – it also gave us the inspiration to write and record additional songs. It is still an incredible thing for me to know that I have musicians playing on this CD like Randy Kohrs (dobro, banjo, background vocals), who has become very well known in bluegrass circles, but who I remember performing with the John Cowan band when I was living in Kentucky and Joe Spivey (fiddle, banjo) who is a member of the band the Time Jumpers. We were also very fortunate to have some of Jeff’s friends: Gabriel Katona (piano) who played with Jeff during his Rick Springfield days and Paul Rucker (piano/strings) and Jim Haydon (drums). James Mitchell (electric guitar), Steve Stokes (fiddle, background vocals), Ken Lewis (drums, percussion) and Dave Pearlman (steel, dobro) also added their special touches to the CD. Each of these musicians have numerous live and studio credits to their names. When I first met Debra she was living in Kentucky and playing in a bluegrass band called Soulgrass. We decided to write together and our first song was “Who Do You Think You Are.” Since we had never actually met at this point and I was living in California (about 2,000 miles away), this song was mostly written through emails with Debra sending lyrics and me sending MP3s for the music. Our first collaboration worked out so well, we decided to keep on writing together and I eventually felt the inspiration to not only co-write more songs with Debra, but to also produce her solo EP/CD entitled “I Can’t Remember To Forget You.” Debra also relocated from Kentucky to California. It was because of Debra, that my excitement for music was reignited after quite a long hiatus. She introduced me to a plethora of INCREDIBLE talent and music that was going on in Nashville at that time, which not only helped inspire her sound, but gave us both a reason to pack up and move to Nashville. Except for the HORRIBLE humidity, the first 2 years of TERRIBLE allergies and all varieties of bugs and very interesting crawling and flying creatures, we have both felt the move from Los Angeles was the best thing that could have happened for our music and quality of life. One of the biggest advantages of moving to Nashville was having the most INCREDIBLE talent pool to work with. In combination with some amazing players we worked with in LA, we were very fortunate to have players like Mike Johnson, Randy Kohrs, Joe Spivey, Dave Pearlman, Gabriel Katona, Paul Rucker, Jim Haydon, James Mitchell, Steve Stokes, Ken Lewis perform on this CD. Shortly after finishing the CD, Debra also released a Country, Pop and Bluegrass version of a holiday song written by Pamela Phillips Oland and myself called “Save The Mistletoe For Me.” During the production of Debra’s new album “A Cold Wind Blows,” we decided to completely revamp/remodel the arrangement of this song to match her current sound. A new version of “Save The Mistletoe For Me” was released on Palette Records in 2013. The CD received an “Outstanding” rating on from Stacy. 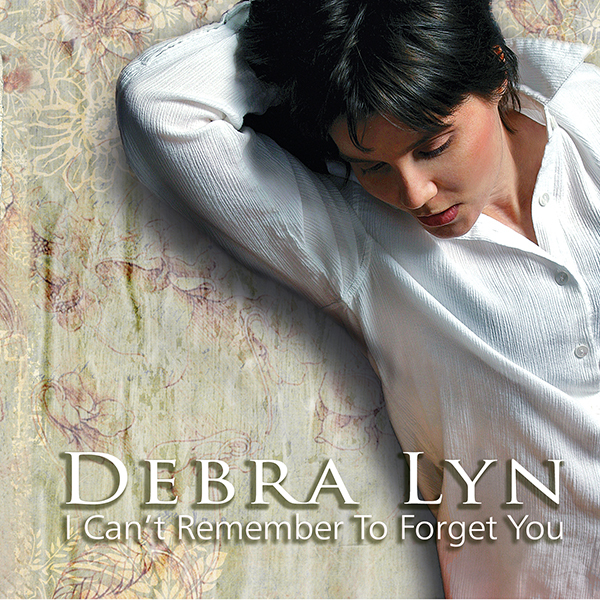 Debra Lyn has a new EP, “I Can’t Remember To Forget You,” with seven new country songs that she wrote or co-wrote with her encouraging husband and the album’s producer, Jeff Silverman of Nashville’s Palette Studios. Debra’s lead and harmony vocals convey an earthy sensuality. And their choice of instrumentation is much more country than bluegrass now, but they still realize the potential for acoustic instruments to convey certain moods in individual songs. The banjo and fiddle in “So Long Since September,” for example, impart a slight rustic mountain feel to a contemporary storyline. Jeff’s guitar, bass and background vocals are solid in the multi-layered sound that also incorporates many other top session players — Randy Kohrs (banjo, Dobro, vocals), Dave Pearlman (Dobro, steel guitar), Ken Lewis, Nate Morton or Jim Haydon (drums, percussion), James Mitchell (electric guitar), Mike Johnson (steel guitar), Gabriel Katona (piano), and Steve Stokes (fiddle, vocals). I would encourage artists looking for new material to closely peruse her lyrics and melodies on this rhythmically-enticing album. I’m sure you’ll find some alluring songs that you can relate to. A song like “I Know” even has the accessible melody, bright lyricism and modulating arrangement that could make it a pop hit. He’ll always be my best friend – How can I make you believe?